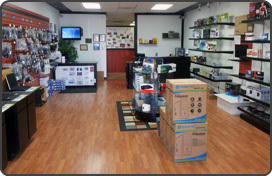 Computer BYTES is the Concho Valley's connection for custom built computers where you will find the highest quality computer systems and components at the best possible prices. Let us be your one stop shop for service and support that you can count on! Locally owned and operated since 2002. Keep your important data safe and secure with our automatic and remotely managed software - Learn more. Set your homepage to the new Computer Bytes start page: start.comp-bytes.com View local and national news, local weather, google search, and more.